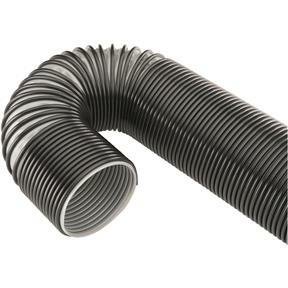 Our hoses are ideally suited for dust removal because of their strength, durability and flexibility. Available in the most requested sizes and priced to move! Spiral reinforced Clear Hose allows easy inspection for locating potential clogs in your duct work. Simple hose clamps secure hose to fittings and hoods. Made in the U.S.A.